NINE DTP works in conjunction with partners around throughout the United Kingdom, and beyond, to facilitate knowledge exchange and the impact opportunities. Criminal Justice Inspection Northern Ireland (CJI) is an independent, statutory inspectorate established in 2003 under s.45 of the Justice (Northern Ireland) Act 2002. It is a Non-Departmental Public Body (NDPB) in the person of the Chief Inspector. CJI is one-of a-kind as it is the only unified inspectorate in the United Kingdom or Ireland that can look at all the agencies that make up the criminal justice system apart from the judiciary. Organisations which CJI can inspect include the police service, prison service, prosecution service, youth justice services and the courts. This means CJI is in a unique position to identify issues that are common to some or all organisations and is in a strong position to promote inter-organisational learning and best practice across and between the various agencies. The strategic aim of Criminal Justice Inspection is to promote the effectiveness, efficiency and even-handedness of the criminal justice system in Northern Ireland. • to work in a collaborative manner with the inspected agencies to secure improvement while maintaining its reputation for carrying out independent impartial inspections. • continually learn from experience. • to improve service delivery by enhancing levels of effectiveness, efficiency and co-operation within the criminal justice system. Established on the basis of the Belfast (Good Friday) Agreement, we play a central role in supporting a society that, as it rebuilds following conflict, respects and upholds human rights standards and responsibilities. Human rights values and standards need to be at the heart of our society if we are to achieve well-being, peace and justice. We are Northern Ireland’s centre of excellence on human rights. We hold government, elected representatives, statutory and other relevant organisations to account. To do this, we may work in partnership with these organisations and civil society. As the national human rights institution (NHRI) in Northern Ireland, the Commission has a range of duties and responsibilities including contributing to the monitoring of international human rights treaties in Northern Ireland. The core aspects of our daily operation are fundamental to fulfilling our mission. They are key to our compliance with the United Nations Paris Principles on the role of a national human rights institution and the Nolan principles of ethical standards in public life. Each year, the Commission reviews progress by government and public authorities with human rights laws and standards. Our Annual Statement, which is published in December, records progress on meeting human rights standards. The Annual Statement strongly informs our future work priorities. In 2015, the Commission was elected the chair of the Commonwealth Forum of National Human Rights Institutions. This reflects the esteem in which the Commission is held internationally and is an important opportunity to share our own experiences, facilitate dialogue and learn from others to achieve direct benefits for the people of Northern Ireland. We are the home of community organising in the UK, with diverse civil society alliances in London, Milton Keynes, Nottingham, Birmingham, Wales and Leeds. • to assist by directly promoting the more effective working of local and national capacity building institutions designed to pursue that aim. Community Organising is based on the principle that when people work together they have the power to change their neighbourhoods, cities, and ultimately the country for the better. We work with people who want to transform the world, from what it is to what they believe it should be. To do this we listen to our members, asking them about their concerns and developing strategies to improve our communities. We ensure that civil society is at the negotiating table alongside the market and state, so that our communities are included in the decisions that affect them. We are North East England’s largest member organisation, representing around 3,000 businesses. 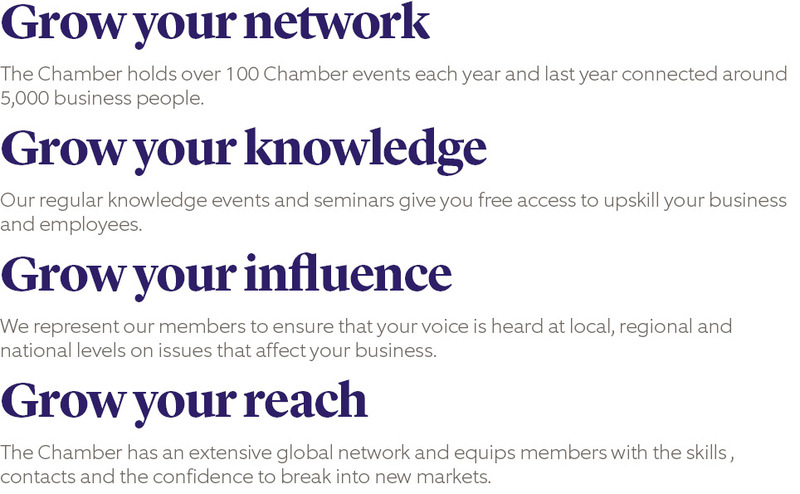 From SME’s to multi-nationals, we bring business people together across a range of member events. We ensure they get access to the best possible support. Our members share conversations, experience and connections. We come together to influence and expand the world we do business in. For over 200 years, we’ve been helping businesses and individuals grow their network, knowledge, influence and reach. The Department of Agriculture, Environment and Rural Affairs (DAERA) has responsibility for food, farming, environmental, fisheries, forestry and sustainability policy and the development of the rural sector in Northern Ireland. 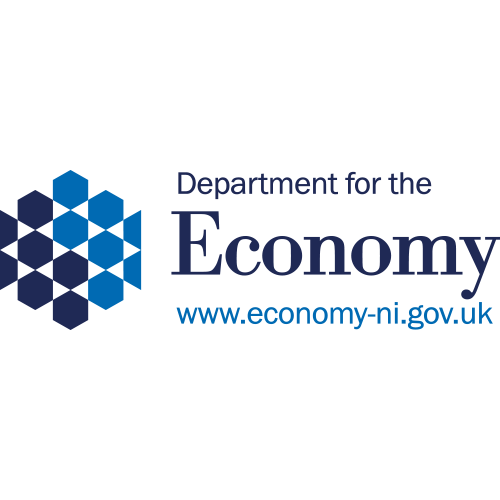 The Department assists the sustainable development of the agri-food, environmental, fishing and forestry sectors of the Northern Ireland economy, having regard for the needs of the consumers, the protection of human, animal and plant health, the welfare of animals and the conservation and enhancement of the environment. DAERA provides a business development service for farmers and growers and a veterinary service for administration of animal health and welfare. The Department’s College of Agriculture, Food and Rural Enterprise (CAFRE) delivers training and further and higher education courses in the agri-food sector. DAERA is responsible to the Department of the Environment, Food and Rural Affairs (Defra) in Great Britain for the administration of schemes affecting the whole of the United Kingdom. The Department also oversees the application of European Union agricultural, environmental, fisheries and rural development policy to Northern Ireland. The Department also sponsors a number of NDPBs including the Agri-food and Biosciences Institute (AFBI). The Permanent Secretary of DAERA is Noel Lavery. In the North East of England there are twelve local authorities who come together through the Association of North East Councils (ANEC) on issues that concern them all and the communities they serve. Councils deliver hundreds of services that help people and their neighbourhoods thrive and that support economic development. Local government is a fundamental part of the fabric of places and communities. Through councillors elected by local people, accountability in local public services is promoted and those services are designed around local needs and preferences. Strong and can be trusted to deliver. All ANEC members are democratically elected cross-party politicians from across the twelve councils. ANEC acts as a strong and coherent voice for our members and protects, promotes and supports their interests to make a real difference to the well-being of people living in the North East. We make the case on behalf of the North East to the Government and other important decision-makers, within the country and internationally, across a wide range of key issues from funding levels, transport and health to culture and economic development. We also collaborate with partners and other sectors to innovate, deliver efficiencies and improve services. reducing the national deficit present challenges and opportunities for the whole of the public sector, not least local government and the communities it serves. ANEC focuses on supporting authorities to tackle some of the most pressing challenges facing people and communities in the North East, and helping them to fulfil their ambitions. We represent their views and ensure we are driven by knowledge, new thinking and bringing together the considerable experience and expertise that exists in the area, in an atmosphere of mutual support and co-operation. One of ANEC’s roles is to influence and advocate as local government makes the case for adequate resources to meet the needs of citizens now and into the future and we look to maximise opportunities for increased devolution, greater freedoms and flexibilities. These will enable the sector to deal with the challenges it faces and make the most of the economic, social and environmental opportunities as they arise. In working together where appropriate on the priorities set out in our Corporate Plan 2012-14 ‘Your Leadership, Your Voice, Your Influence’,Leaders and Elected Mayors have agreed that the sector is stronger and can make a clear difference to people and businesses. Councils can be justly proud in promoting the positive role that they play in improving people’s lives. All make a significant contribution to quality of life and well-being in local communities and it will be increasingly important as councils face further budgetary pressures, to ensure that we articulate this and do what we can to secure a prosperous future for all. The landscape is changing – the creation of Local Enterprise Partnerships, Combined Authorities, the impact of welfare reform, and the Government’s intensive legislative programme covering a wide range of areas of public policy, are all factors influencing how and on what councils work together. ANEC will remain committed, as a member-led organisation, to taking forward key priorities together and setting out ways of working that aim to be inclusive and effective, that will make a difference and add value. The impact of decisions aimed at reducing the national deficit present challenges and opportunities for the whole of the public sector, not least local government and the communities it serves. ANEC focuses on supporting authorities to tackle some of the most pressing challenges facing people and communities in the North East and on helping them to fulfil their ambitions. We represent their views, act as an influential advocate for councils and promote their leadership role across all spheres of public life. We also ensure we are driven by knowledge, new thinking and we bring together the considerable experience and expertise that exists in the area, in an atmosphere of mutual support and co-operation. as an organisation, continuously improve our effectiveness against a backdrop of tightening resources. Set up by schools for schools, we are the first and only school-led regional network in the UK. In 2007, a group of Head Teachers came together to establish SCHOOLS NorthEast. Their aim was to create a unique culture of collaboration and mutual support amongst North East schools to ensure the best possible outcomes for all of our region’s young people. 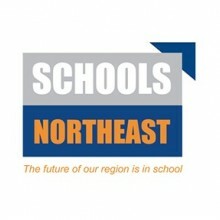 Eight years on, SCHOOLS NorthEast is stronger than ever! Over the years, we have worked to facilitate new projects and additional support, connect schools to each other and external organisations such as business, provide a strategic voice for our members and promote a wider understanding of the issues facing education in the North East. SCHOOLS NorthEast is governed by our 11 Trustees, 3 co-opted Trustees and 26 strong advisory board of local Head Teachers, elected by their peers in each area, who provide SCHOOLS NorthEast with direction and support. We also have a core team of 8 based in Newcastle. With a well-established annual calendar of events, a Weekly Update with a distribution of over 3,000 readers and over 3,000 Twitter Followers, SCHOOLS NorthEast’s influence is growing both locally and nationally! SCHOOLS NorthEast is an inclusive network led by Head Teachers creating unique culture of collaboration and mutual support and bringing the expertise of our members to benefit developments within our region. Our young people are confident, enterprising, skilled and aspiring; learning and developing within well-resourced, nurturing and purposeful school environments. Our school leaders, governors and staff demonstrate exceptional professionalism enjoying the resounding confidence of students, parents, communities, employers and decision-makers. Our Head Teachers have a powerful voice regionally and nationally. By working collaboratively and creatively with their peers and external partners, they develop expertise, shape policy and drive change. We are recognised as a centre for innovation and the bench-mark of excellence. Our region is vibrant, self reliant and outward looking, featuring a dynamic economy, healthy environment and distinctive culture. Using a rights based approach Investing in Children creates spaces in which children and young people can come together, discuss issues and develop arguments through research, then support them to enter into dialogue with adults who have the power to act on their agenda. 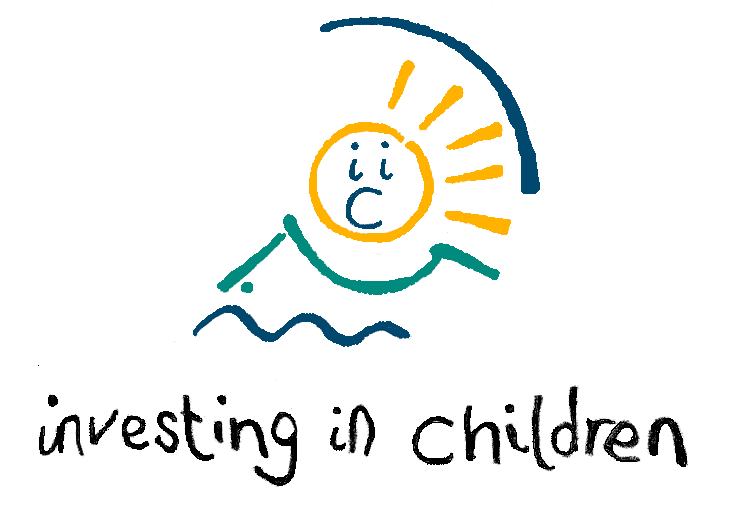 Investing in Children (IiC) is an organisation concerned with the human rights of children. We were created in 1995 in County Durham, in the North East of England, by managers in the local authority and the National Health Service. In 2004, the Investing in Children Development Agency was created, to allow other organisations outside of County Durham, to use the IiC approach, and in 2013, IiC became an independent Community of Interest Company. IiC now has partnerships with public service agencies and universities across the UK and in Europe. For 21 years, we have been working alongside children and young people, and adults who provide services to them, to create a range of effective ways in which they can exercise their right to have a say, often resulting in improvements in the services themselves. Children and young people possess the same human rights as the rest of humanity. They will experience a better quality of life if society in general, and the services used by them in particular, recognise and respect these rights. • Contribute to local, national and international debate about children’s rights. • Children and young people are citizens now (they are rights bearers) and as such have the right to participate in decisions that affect them. • Children and young people know about what is happening around them (what has been described as their ‘lived lives’). • The means of engaging children and young people must be inclusive and respect the democratic rights of all. NISRA is an Agency of the Department of Finance. NISRA is the principal source of official statistics and social research on Northern Ireland. These statistics and research inform public policy and associated debate in the wider society. Trusted statistics and research for a better society. To provide a high quality and cost effective civil registration service to meet user needs. 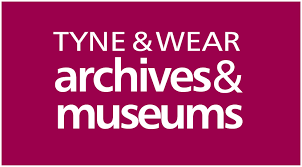 Tyne & Wear Archives & Museums (TWAM) is a major regional museum, art gallery and archives service. We manage a collection of nine museums and galleries across Tyneside and the Archives for Tyne and Wear. We are supported by the five local authorities of the area and Newcastle University. TWAM is also a Major Partner Museum funded by Arts Council England and has Core Funded Museum status. We hold collections of international importance in archives, art, science and technology, archaeology, military and social history, fashion and natural sciences. TWAM has been awarded funding from Arts Council to act as a Bridge organisation. The only museum service to take on a Bridge role, TWAM is one of 10 Bridge organisations across the UK using their experience and expertise to connect children and young people with art and culture. TWAM also delivers the Museum Development programme for the North East. The programme is a comprehensive, effective and collaborative response to the needs of museums in the North East and the communities they serve. As a result TWAM supports a total of 55 museums operating in the North East. is to help people determine their place in the world and define their identities, so enhancing their self-respect and their respect for others. for the future is for everyone to have access to museum and archive provision in Tyne and Wear, to use this access and to value it for the significant and positive impact that it makes upon their lives. We will provide real or virtual, worldwide access to our museums and archives and their collections. is to a World-class service that is innovative, imaginative, creative, totally inclusive, secure and sustainable. 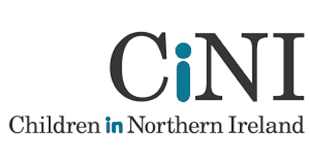 CiNI’s vision is to make Northern Ireland a society where all children are valued, treated fairly and are able to flourish. To deliver on the vision, CiNI has five strategic priorities for 2015 – 2020. Influencing – Lobbying to ensure children are at the centre of decision making. Learning – Capacity building across the sector and innovating best practice. Collaboration – Working with others to increase impact. Sustainability – Future proofing the sector. CiNI’s five core values underpin our approach and how we conduct relationships internally and externally. Fairness for children – Advocacy, Inclusive, Challenging Inequality and Facilitating Participation. Enabling – Signposting, Capacity Building, Partnering and Supporting. Representative – Regional, Objective, Articulate and Vocal. Authoritative – Competent, Professional, Researched, Evidence Informed. Relevant – Strategic, Connected, Contemporary and Considered. Early Years is the largest organisation in Northern Ireland working with and for young children. We are a non-profit making organisation and have been working since 1965 to promote high quality childcare for children aged 0 – 12 and their families. Early Years is a membership-based organisation, a registered charity, a company limited by guarantee and is governed by a Board of Directors. On 1st November 2007 we changed our name to Early Years – the organisation for young children. 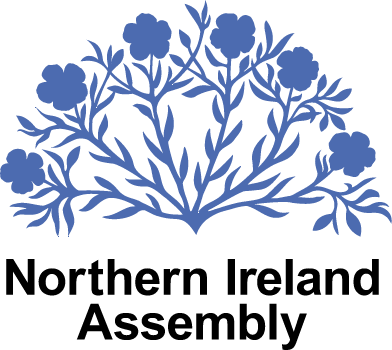 When we started our work in 1965 NIPPA stood for Northern Ireland Pre-School Playgroup Association, but as our work developed we realised that this did not fully reflect all that we do so we changed our name to NIPPA – the early years organisation. In 2005 we realised that our work had moved on again and after consultation with members and stakeholders we voted to change our name to Early Years – the organisation for young children. Currently Early Years provides information and training for parents, childcare providers, employers and local authorities. We hope this website will help you to find out more about early childcare and education. To promote and develop high quality, evidence-informed early childhood services for young children, their families and communities. NICVA, the Northern Ireland Council for Voluntary Action, is a membership and representative umbrella body for the voluntary and community sector in Northern Ireland. With around a thousand members – that range from household name charities to grass roots community groups – we lobby and campaign to advance the interests of the people and communities that our members support. We offer a wide range of practical services, products and support to our members to help them do what they do best – find innovative solutions for social challenges. NICVA began its life in 1938 as the Northern Ireland Council for Social Services (NICSS) in response to high levels of unemployment in Northern Ireland. In 1986 we changed our name from NICSS to the Northern Ireland Council for Voluntary Action (NICVA) in recognition of the expansion of the voluntary and community sector in Northern Ireland. Today NICVA represents the interests of its members and over 5,000 voluntary and community groups. We are linked to our sister organistions in England, Scotland and Wales, as well as The Wheel in the Republic of Ireland. Goal 1: We will support the VCSE to be resilient and robust to respond to the challenge of change. 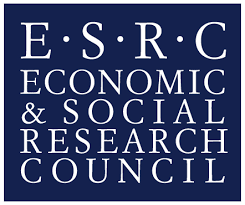 Goal 2: We will support the VCSE in harnessing digital technologies for public good. Goal 3: We will act as the influential leader on behalf of the VCSE in NI. Goal 4: We will be a resilient and robust organisation equipped to respond to the challenge of change. NICVA’s vision is of an effective, vibrant voluntary and community sector which helps build a fair and equal society. NICVA’s Mission is to represent and promote the voluntary and community sector in Northern Ireland and to provide support and leadership to it. NICVA is committed to equality, justice and promoting diversity and opposes discrimination of any sort. NICVA is committed to positive social change to address poverty and exclusion. NICVA is committed to partnership working and adopts a community development approach. NICVA values its staff and volunteers as the key resource of the organisation. NICVA is committed to pursuing social, environmental and economic sustainability. NICVA is an independent organisation and is non party political. NICVA strives for excellence in all that it does in order to provide high quality services. NICVA conducts its business in an open, honest, transparent and accountable way to its members and stakeholders. The PHA was established in 2009 under a major reform of health structures in Northern Ireland. We were set up to provide a renewed and enhanced focus on public health and wellbeing by bringing together a wide range of public health functions under one organisation. We are also required to create better inter-sectoral working, including enhanced partnership arrangements with local government, to tackle the underlying causes of poor health and reduce health inequalities. Protect and improve the health and social wellbeing of our population and reduce health inequalities through strong partnerships with individuals, communities and other key public, private and voluntary organisations. All people and communities are enabled and supported in achieving their full health and wellbeing potential, and inequalities in health are reduced. – We put individuals and communities at the heart of everything we do in improving their health and social wellbeing and reducing health inequalities. – We act with openness and honesty and treat all with dignity, respect and compassion as we conduct our business. – We work in partnership with individuals, communities and other public, private, community and voluntary organisations to improve the quality of life of those we serve. – We listen to and involve individuals and communities. – We value, develop and empower our staff and strive for excellence and innovation. – We are evidence-led and outcomes-focussed.